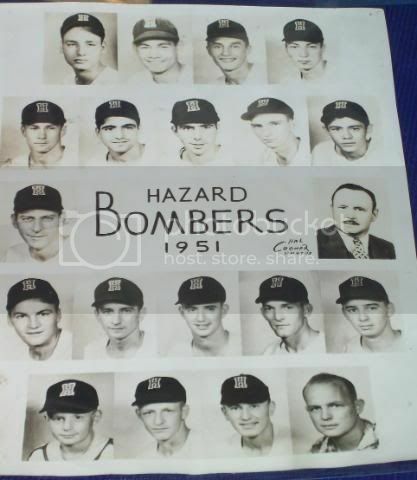 anyone know where I can get logos, photos, etc about the baseball team that used to play in Hazard, KY? Thanks in advance. Thanks, I'll give them a try. I do know that MC Napier used their old jerseys sometime in the late 50's and would love to find one of those old flannels. 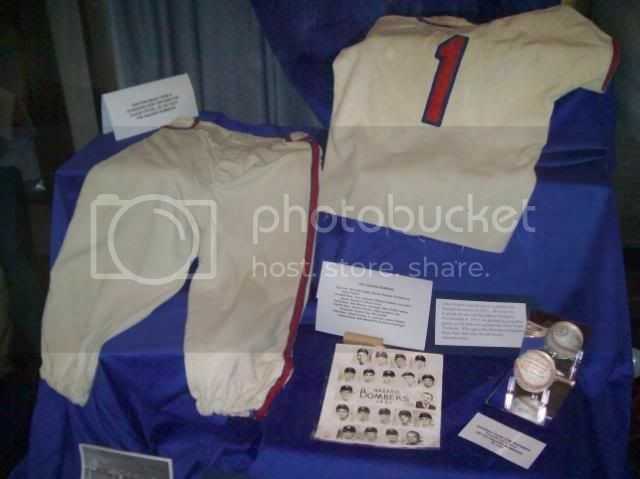 My Mom has a picture that each of them signed.She lives in Indiana now but i can see about getting you a copy.She also had a baseball if she knows where its at.She used to date one of the players. Danny Hayline was a better pitcher than Podres but got hurt and never did much afterwards. 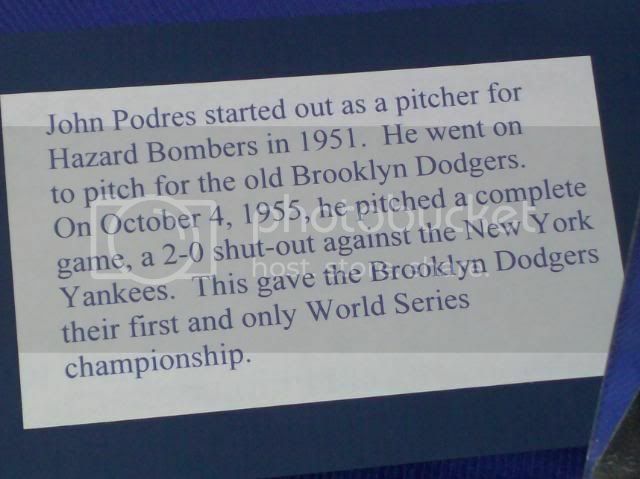 Podres was a great pitcher when the World Series rolled around and that is his claim to fame. 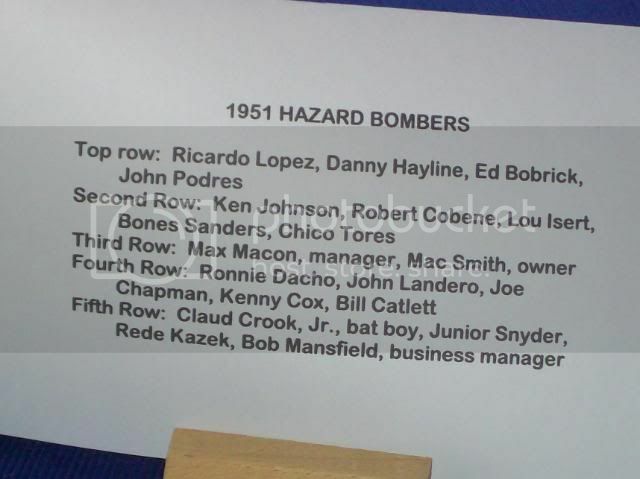 I remember the Hazard Bombers very well. My younger Brother and I would hitch-hike or walk over to the the park and set upon the bank beyound the left field fence (best seat in the house) and watch the game. We never missed a night game. Hazard 999, you did an excellent job with the Hazard Bomber pictures. Thanks, Carlene. 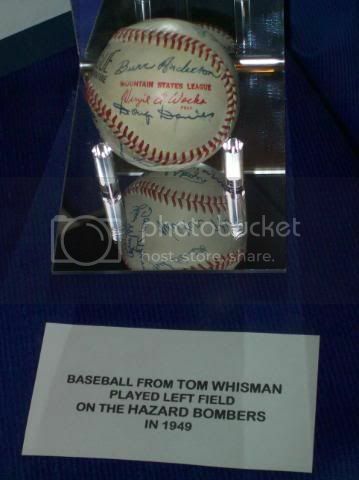 I guess I should have said that those pictures are of the display at Bobby Davis Museum. 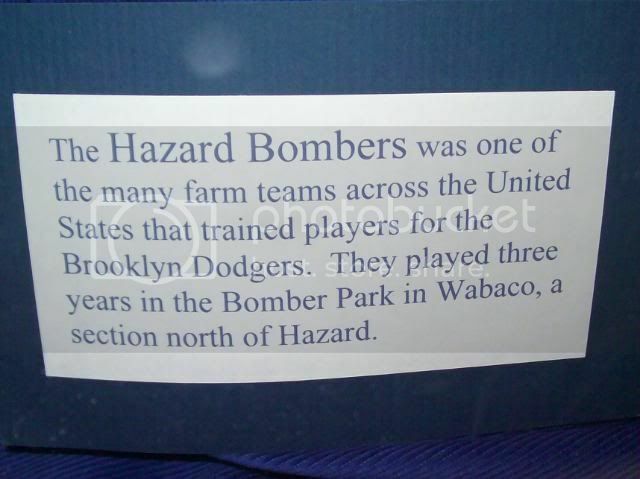 Everything I have seen has said that the Bombers played in Hazard from 1948-1952. Does anyone know if my dad was a ball boy? His name was Raymond Moore. Call Martha Quigley at the Bobby Davis Museum in Hazard and see if she knows. 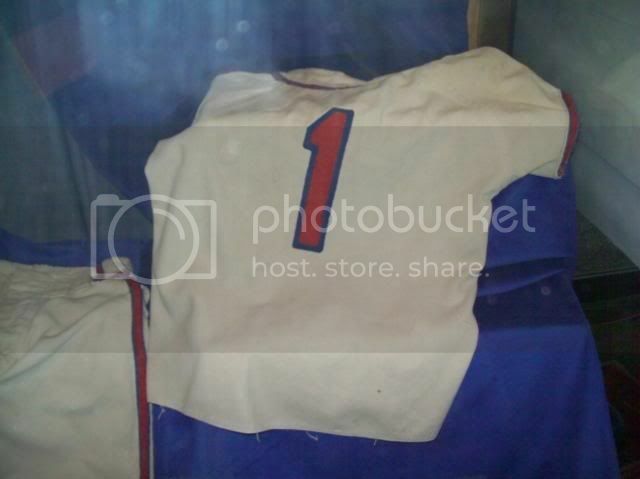 They have a Bomber's uniform there that was cut down to fit the bat boy. 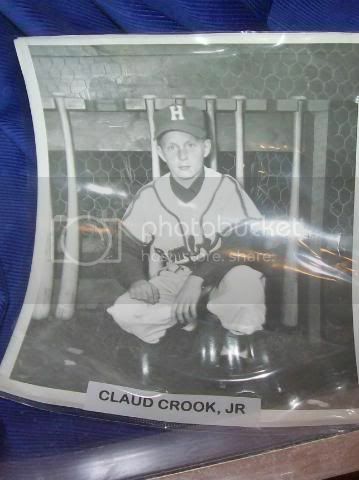 I think the bat boy was Claude Crook, Jr.